U.S. prosecutors announced Tuesday that they have charged four people with taking part in a decades-long scheme to evade U.S. taxes that came to light after a massive leak of offshore financial data... known as the "Panama Papers." 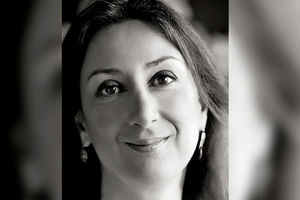 Anti-corruption blogger Daphne Caruana Galizia was killed in a car bombing last week Thousands of people flocked to a rally on Sunday to demand justice for murdered Maltese journalist and... anti-corruption blogger Daphne Caruana Galizia. 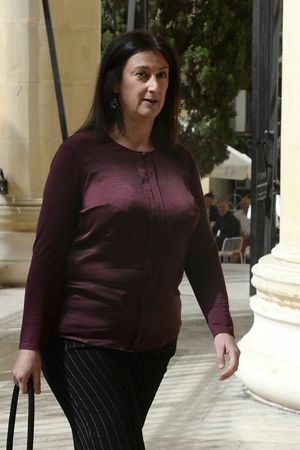 Crowds packed roads in the capital Valletta as the "national demonstration for justice" began in honour of the 53-year-old, killed in a car bombing on Monday. Jürgen Mossack and Ramón Fonseca, who founded firm at centre of data leak, held as part of investigation into separate scandal The heads of the law firm at the centre of the Panama Papers scandal... have been refused bail following their arrest by police in Panama. Jürgen Mossack and Ramón Fonseca were taken into custody on Thursday as part of an apparently coordinated swoop by prosecutors across Latin America investigating the massive Brazilian Lava Jato scandal. 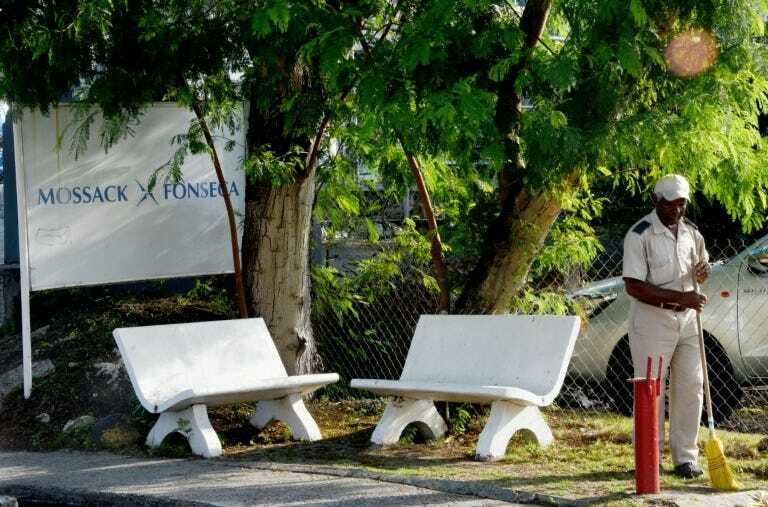 Attorney general's office in Panama accuses law firm of creating companies linked to Lava Jato corruption investigation Panamanian prosecutors raided the offices of Mossack Fonseca, the law firm at... the centre of the Panama Papers scandal, seeking possible links to Brazilian engineering company Odebrecht, the attorney general's office said on Thursday. "Raid of offices of law firm that created limited liability companies in Brazil linked to #LavaJato #PanamaPapers," the attorney general's office said on Twitter, without providing more details. Nobel laureate Joseph Stiglitz, who along with Swiss anti-corruption expert Mark Pieth quit the panel set up to investigate the Panama Papers scandal, Tuesday urged international regulators to treat... secrecy havens like a disease and cut them off from the global financial system. Nawaz Sharif files response to Supreme Court order but leaves out his children despite orders in Panama Papers inquiry. 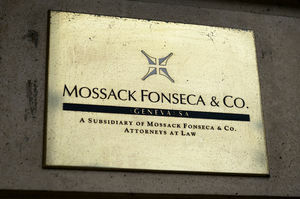 Danish tax authorities say they have received data leaked from a Panamanian law firm that helped customers open offshore companies to avoid paying taxes, adding they paid nearly six million kroner... ($902,500) for it. 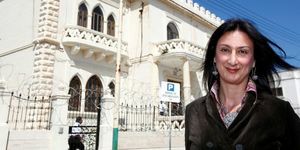 The law firm at the centre of the Panama Papers scandal says it expects the prosecution of a worker from its Geneva office detained on suspicion of stealing company documents. The heart of the matter is that the Panama Papers disclosure didn't disturb the global financial casino one bit, because the (transnational) system badly needs fiscal paradises to evade national laws.... What the Panama Papers may succeed in is to eliminate competition. From now on, your fiscal paradise of choice must be in U.S., U.K. and Dutch jurisdictions. We control every global financial flow--legal or otherwise. HARRY Potter star Emma Watson has been named in the Panama Papers database containing details of offshore companies. 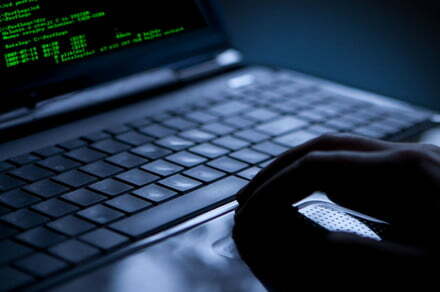 New Zealand is at the heart of a tangled web of shelf companies and trusts being used by wealthy individuals channelling funds around the world, according to a report based on leaks of the so-called... Panama Papers. In an 1,800-word manifesto issued on the Panama Paper's website, the source explained the motivation behind the leak, and also alluded to cooperation with law enforcement to bring those guilty to... justice. The post The Panama Papers — it's still not over, source says appeared first on Digital Trends. (Reuters) - New York state's financial regulator has told 13 foreign banks doing business there to hand over details about their dealings with a law firm in Panama that helped set up thousands of... shell companies, a person familiar with the matter confirmed.